LLOYD'S BEWARE THE BLOG: Ib Melchior: Office of Strategic Service to "The Angry Red Planet"
Ib Melchior: Office of Strategic Service to "The Angry Red Planet"
Let's visit "The Angry Red Planet" and fight "Reptilicus". On March 14, 2015, at the age of 97, Ib Melchior passed away. Most readers may not know his name, but would recognize the titles of some really low budget "classic" Science Fiction motion pictures he wrote. Along with the American re-edit of a Godzilla movie where the Kaiju was now named Gigantis. However, writing movie scripts was not the reality behind his amazing life and this article is that reality. Ib Jorgen Melchior was born on September 17, 1917 in the world of Hans Christian Anderson in Copenhagen, Denmark. His father was Lauritz Lebrecht Hommel Melchior first a Danish and later as Adolph Hitler rose to power an American Opera Singer. He was considered the pre-eminent Wagnerian tender in the World from the 1920’s through 1940’s. Ib Melchior’s mother was Inger Nathanson who I could find no specifics except that she was married to his father from November 1915 and to 1924 when she passed away. After which Lauritz would marry the second of his three wives. His son would write and publish a biography of his father “Lauritz Melchior: The Golden Years of Bayreuth”. The following is from Ib Mechior's biography of his father found on page 187 and explains a little of his early life. The year referred too is 1925. That year my sister, Birte, and I were in Bayreuth for the first---and last--time. Our mother, whom we lived in Copenhagen, had died the year before, when I was eleven and my sister eight, and we had been sent to boarding schools in Demark, But our vacations were spent with our father. Below is a photograph that is identified only as "Lauritz Melchior and his two children" circa 1937. I could find no location for the picture, but based upon Ib's dress I believe it is still in Denmark which would shortly change for good. At some point prior to his entering Stenhus College and then the University of Copenhagen. The young Melchior was working as both an actor and stage manager, with his father, in Operatic Theater until after graduation. Then he joined "The British Players" a traveling troupe of actors and worked once again as an actor, stage manager and eventually became co-director of the company . Ib Melchior's father Lauritz was traveling back and forth between Denmark and the United States sometimes with his children starting in 1935 to appear in Opera productions, but with the Nazi’s moving so fast across Europe at some point prior to the United States entry into World War 2. Ib Melchior left the British company and father and children would remain in the United States to escape the Nazi regime. All three sought American citizenship. Melchior would participate in the liberation of Flossenburg concentration camp. The camp was located in the Upper Palatinate region of Bavaria, Germany close to the border with Czechoslovakia. It had been built in May 1938 and its liberation that Ib participated in took place in was on April 1945. Records indicate the camp “processed” 96,000 prisoners of which 30,000 never left. "The Monuments Men: Allied Heroes, Nazi Thieves and the Greatest Treasure Hunt in History" by Robert M. Edsel. Ib Jorgen Melchior was one of the real Monument Men that Edsel's book was based upon. He was involved with the discoveries at the Merker-Kieselbach cavern in the Wartburgkreis district of Thuringia, Germany, working with Company A of the 357th Infantry Regiment of the 90th Infantry Division of the 3rd Army under General George S. Patton. Located 2,000 feet underground in one of the many Salt Mines in the area where large quantities of gold bars, stolen art work and other valuables that the Nazi’s were hiding. Then there was his involvement in the capture of some real “Werewolves”. Not the Lon Chaney, Jr./Benicio del Toro “Lawrence Talbot” variety, but spelled “WERWOLF” and of the Nazi variety. The name was chosen based upon a 1910 novel by Hermann Lons entitled “Der Wehrwolf”. The story was set during “The Thirty Years War” (1618-1648) and told how a peasant whose family was murdered organizes his neighbors into a fighting group and goes after the enemy soldiers. The Nazi idea was to have German partisans form a clandestine military organization to hamper the Allied advance. Even if the war ended badly for Germany the were to fight on afterwards as raiding parties, if you believed Joseph Goebbels this was a grand scheme and involved large numbers of Germans. In actuality there were very few German “peasants” who wanted to fight when the scheme came into being in 1945 and the “Wehrworlf’s” were actually German soldiers assigned to this group. For his part Ib Melchior would be awarded “The Bronze Star” for the capture of one of the active “Werwolf” Units that’s mission appeared to be the assassination of General Dwight David Eisenhower. After the war Ib Melchior's developed skills from working with his father behind the scenes in Opera and in college stage productions became a source of employment for the ex-soldier. 1948 found Ib Jorgen Melchior directing the television show “The Chesterfield Supper Club” hosted by Perry Como a popular 40’s/50’s singer. The program was on NBC and ran 15 minutes and started in 1944 on radio and moved to the very new medium of television that year. Just to illustrate the power of the sponsor Chesterfield Cigarette’s at the time. Perry Como’s back up group was called “The Satisfiers”. Chesterfield was the cigarette that “satisfies” you and the theme for the short broadcast was either “Smoke Dreams”, or “A Cigarette, Sweet Music and You” varying from show to show. Ib Melchior first entered the World of Science Fiction was the Technical Director for the television series “Tom Corbett, Space Cadet”. The show was “inspired” by Robert A. Heinlein’s novel “Space Cadet” written in 1948. Behind the program and one of the two writers for the successful book series using a nom de plume was Technical Advisor German/American Rocket Scientist Willy Ley. Ley would work with Heinlein on George Pal’s Academy Award winning movie “Destination Moon” that same year also as the Technical Advisor and co-script writer with Heinlein. “Tom Corbett, Space Cadet” was scientifically accurate, thanks to Ley, for the years it ran October 2, 1950 through June 25, 1955. Melchior and Ley stayed with the program as it moved from television broadcaster CBS to ABC. Then from ABC to NBC. Followed by NBC to the DuMont Television Network and back to NBC over that five year period. Strange as all this movement may seem to you today. At the time during the founding years of television this was actually the norm for a lot of programs. As a young kid I loved this show and recently read the novels made from the adventures and published during the same period. Here are two of the toys I played with based upon the show. One is the "Polaris" Tom and his crews space ship and the other is the "Space Academy" they lived at. Oh the girls weren't forgotten as these two dolls from the program at the time show. Like many early 1950's Sci-Fi women had strong roles and in "Tom Corbett, Space Cadet" and "Space Patrol" were equals to the men in their future worlds. Here's a link to "The Run Away Rocket" episode of "Tom Corbett, Space Cadet" for your enjoyment. I could not find anything about what Ib Melchior did after "Tom Corbett, Space Cadet" stopped production in 1955 and through 1956. However, in 1957 Melchior directed a film short “A Touch of Smoke” about what you should do in case of a home fire, Also in 1957 a couple of American Producers Henry Rybnick and Edward Barrison of AB-PT Productions wanted to follow in the footsteps of 1956’s “Godzilla, King of the Monsters” and they contacted Toho for the American rights to “Gojira no Gyakushu (Counterattack of Godzilla)”. Which when they received the movie had been given the new English name of “Godzilla Raids Again” by Toho. Along with the motion picture came the two suits used for Godzilla and Anguirus. The two American producers in the mean time hired Ib Melchior and Ed Watson to co-write a script about two giant monsters that are discovered in Japan and end up fighting in the streets of San Francisco, California. The movie would be called "The Volcano Monsters" and only use the action scenes of the two monsters fighting from the Japanese original. A massive eruption in Noshiro, Japan reveals a huge cave in the mountainside. An American paleontologist named Roy Carlyle, along with his assistant Marge and a couple Japanese scientists, explore the cave in hopes of finding some fossils. They stumble upon a gigantic tyrannosaurus rex and ankylosaurus encased in lava. The two creatures appear to have been locked in combat before they were trapped in the magma. The scientists presume that the creatures are dead, and must have had there bodies preserved due to the volcanic gases in the cave. However, one of the Japanese scientists warns them not to disturb the "monsters of Noshiro" as danger will befall them according to a prophecy. His warning falls on deaf ears as the creatures are readied to be shipped off to San Francisco for further study. Carlyle attends a conference in Tokyo were he states his hypothesis that the two creatures found in the mountainside are in fact two giant cousins of the extinct tyrannosaurus rex and ankylosaurus. He also goes on to say that these two creatures were mortal enemies and would often engage each other in combat whenever the opportunity arose. Meanwhile, the gigantic tyrannosaurus rex and ankylosaurus are in mid transit too San Francisco when it is discovered that the creatures are in fact very much alive. The scientists aboard the ship are overjoyed as they feel that with this discovery they may have unlocked the secret to suspended animation. McBain, a sailor who is currently in the middle of relationship with Marge, does not share there excitement as he feels the creatures should be thrown overboard before the creatures might be able to cause untold horrors. As fate would have it, a violent storm strikes the boat and causes the restraints on the tyrannosaurus rex to break, sending the creature to rolling across the deck and straight off the ship. Fortunately, the ankylosaurus does not meet the same fate and the boat arrives safely in the docks of San Francisco with their prize. McBain and Marge both leave the boat to go out on a date shortly after arriving. While they are away, the tyrannosaurus rex surfaces in the bay. The dinosaur's presence awakens the ankylosaurus, who quickly breaks out of his constraints and the two behemoths quickly engage each other. Their fight startles a nearby truck driver, who in turn crashes into a nearby oil refinery that creates a giant explosion. The creatures make their way to Chinatown where they battle amongst the oriental structures. Carlyle is given news of the creatures fighting in San Francisco which causes him to suffer a stroke. McBain and Marge visit him in the hospital where Carlyle asks them to please destroy the creatures before they can do any more damage. Carlyle's doctor, however, feels that this is not a wise idea as in Carlyle's current state he could die of depression if he loses his chance of getting a Nobel Prize, which will indeed happen if both dinosaurs die. Meanwhile, the tyrannosaurus rex kills the ankylosaurus by biting it in the jugular. The surviving dinosaur then heads to a nearby university, where Marge and other scientists happen to be working to try and recreate a formula for the volcanic gases found in the cave that they hope will put the creature back into suspended animation. McBain arrives to warn them that the tyrannosaurus rex is coming, but the scientists ignore him as they explain that they are very close to discovering the formula. McBain then punches Marge, knocking her out, and carries her out of the building right before the tyrannosaurus rex crushes the structure and kills the other scientists inside. The military then arrives and attacks the dinosaur with tanks and rockets, but neither have any affect on the creature as it returns out to sea. The Navy chases after the creature with planes and submarines, yet neither is effective. McBain and Marge follow the creature aboard a naval destroyer until the Navy loses track of the creature. Shortly afterwards, they are able to relocate the beast who is now swimming toward a mysterious tropical island in the polar regions. A scientist figures out that the creature must indeed be female and is no doubt going there to lay its eggs. McBain considers that nuking the tyrannosaurus rex might be there best solution for destroying it before this happens. However, killing the creature will no doubt in danger Carlyle in his fragile state, so he comes up with another plan which he tells to the Navy. The Navy surrounds a nearby ice cavern with oil drums, where they know that the tyrannosaurus rex is hiding. All does not go to plan, as a Navy solider gets himself trapped beneath a oil drum just as the tyrannosaurus rex is approaching. McBain rushes out and saves the man while throwing a grenade at the oil drums which causes a chain reaction. The tyrannosaurus rex is trapped in the cavern as jets bomb the hill side causing it to collapse on the creature, burying it in ice. Scientists predict that the ice should put the tyrannosaurus rex back in suspended animation, which will allow Carlyle to study the creature whenever he pleases. Meanwhile at Noshiro, a claw reaches out of the cave opening.. This project fell through as AB-PT Productions closed down while this and other features were in different stages of production, but not to fear "Volcano Monsters" will rear its head once more when I get to May of 1959. In April 1958 a film co-written, story and screenplay, by Ib Melchior entitled "Live Fast, Die Young" was released. The film tapped into what kids were feeling – that society sucked and they were rebelling against it. Like some of Melchior's Science Fiction the film has obtained "Cult Status" and Slash of "Guns and Roses" was known to wear T-shirts with pictures of Eberhardt on them when performing. At some date,unknown, Ib Melchior directed a television documentary entitled "The March of Medicine". I could not locate anything about the program. Ib Melchior was one of three writers and wrote the source material for the Charles Bronson/Richard Jaeckel war drama “When Hell Broke Loose” released November 1, 1958. This story has Bronson in what would become a somewhat typical character for him as a cynical minor criminal drafted into the Army to fight in Europe. Melchior brings in the German "Werwolf's" into the story and because of his past. Nobody in command believes Bronson when he discovers what is happening. After the film was completed Ib Melchior also in wrote the novelization of the movie for sale. Writing a novelization of a movie during the 1950’s was common practice and a means for some writers to earn extra cash. On May 21,1959 Ib Melchior's “The Volcano Monsters” came back to haunt fans of “Godzilla” to this very day. The 1954 film “Gojira” was both a surprise and financially successful motion picture for Toho Productions. Tomoyuki Tanaka ordered an immediate sequel made and on April 24, 1955 “Goijira no Gyakushu (Counterattack of Godzilla)” opened and didn't do as well as Toho Studio's expected. Much like "Son of Kong" back in 1933 for RKO. Tomoyuki Tanaka decided not to make any more films with "Gojira", or other monsters (Kaiju). So after releasing the currently in production “Sora no Daikaijuo Radon (Radon, Giant Monster of the Sky)” on December 26,1956 in Japan. This arm of Toho Studios switched to mainly Science Fiction and Horror films. This move would see the release of "Chikyu Boeigun (Earth Defense Force)" in Japan on December 28, 1957 and as "The Mysterians" in this country on May 15, 1959. "Bijo to Ekitainingen (The Beauty and the Liquid People)" on June 24, 1958 in Japan and as "The H-Man" in this country on May 28, 1959, but no new monsters on the loose films.. These actions return my reader to 1957 and AB-PT Productions acquisition of what now was called in English "Godzilla Raids Again" and the events I mentioned before. The script written by Ib Melchior and the forgotten Ed Watson's script gathered dust. Enter Warner Brothers Studios who was looking for a means to the lucrative pre-teen/teen Science Fiction and Horror movie market ruled over by American International Pictures. Warner Brothers herd about the failed 1957 film and acquired the American film rights to “Godzilla Raids Again” and the script by Melchior “The Volcano Monsters” with the idea of turning this into a stop motion animated film. . After reviewing the production costs involved Warner Brothers decided it would be too expensive to make as originally conceived and rehired Ib Melchior to now take his script and somehow adopt it to fit the Japanese film with as little additional footage as possible. The end result was called "Gigantis, the Fire Monster" and somehow in the thinking at Warner Brothers Studio was the belief viewers would never realize this wasn't a totally American made motion picture. The dialogue was laughable and included the famous line "Banana Oil". As a result of “Gigantis, the Fire Monster” fans in 1959, such as myself, questioned if this wasn’t actually an unknown sequel to 1956’s “Godzilla, King of the Monsters”. Nobody outside of Japan and Asia unless in 1954 they had attended a U.S. Asian movie house that showed the Toho film “Gojira” knew it existed. Letters went out to film critics and as I did to “Famous Monsters of Filmland” asking about the similarity in appearance of Gigantis to Godzilla. The result was twofold. The first was the confirmation that the film was a sequel of not the 1956 film as everyone believed, but the unknown and now revealed 1954 movie. The second result surprisingly was the Worldwide attention “Gigantis, the Fire Monster” had brought to Godzilla and the release in United States Art Movie Houses of both original Japanese versions of the two films also in 1959.. All of this interest caused Tomoyuki Tanaka to rethink his 1955 decision not to make any more Kaiju films. In 1962 Toho would release “King Kong vs Godzilla”. Between 1959 and 1960 a syndicated television horror anthology show made the rounds in the United States. "13 Demon Street" was directed mostly by Curt Siodmak who among other Universal Studio films wrote both "The Wolfman" and "Frankenstein Meets the Wolfman". The series was hosted by Lon Chaney, Jr. who lived at the title address and kept asking the audience to watch these stories as a means of helping him escape from hell, but this English language series was a Swedish production shot in Sweden. One of the episodes entitled "A Gift of Murder" was written by Ib Melchior. I have no idea of the date the episode played, but based upon it number in the listing was near the end of 1959. This episode takes place in Stockholm - Sweden - where a woman goes to the police station to confess a murder. That's how it begins. She tells to the inspector her story. Of course, it's a flashback tale. We find here a voodoo statuette a couple uses to get rid of a man they don't like. And after the man's death, they think to throw the statuette away, to destroy all evidence. But all is not finished for them, as you can guess. That's just the beginning. The man uses the evil doll again to kill another man who investigates too much for their taste. And our murder thinks the statuette is a very good way to waste anyone he wishes to see dead. He uses the little photos of his future victims. The script was written by Arch Obler and the film starred Robert Stack and Nigel Bruce. It would be remade in 1996 as the Michael Douglas/Val Kilmer film “The Ghost and the Darkness”. “The effects are a combination of costuming, model work, and puppets, with Bob Baker's giant (puppet) bat-rat-spider moving off in the distance perhaps the best shot in the movie. Danish-born director/screenwriter Ib Melchior brings a surprisingly light, deft touch to the proceedings, allowing the actors a chance to have fun with their roles -- especially Gerald Mohr, still looking and sounding a bit like Humphrey Bogart, as the stalwart mission commander, and Jack Kruschen as the good-humored technician in the crew -- without losing sight of the adventure and the story line, and meshing it all seamlessly with the special effects-driven sequences." Pink gave his treatment to Ib Melchior whom he'd met at a party; Melchior agreed to write the script if Pink allowed him to direct. While writing the script Pink met Norman Maurer, who was developing a new cinematic technique, CineMagic, which attempted to make photographic images look like drawings. However it soon became apparent the technique would not be able to deliver what had been promised. The damn Cinemagic didn't work like it should," said Pinker later. "It was supposed to be sort of a 3-D effect. What we came up with was great anyway! You may not think it was, but Pink was a typical 1950’s showman and he arranged with a local Los Angeles television station to broadcast a Hollywood style World premiere of the film which was picked up across the country. Pink opened the film one week prior to the regular release at a theater that upon entering you went under a life size Rat-Bat-Spider. At his televised premiere there was a red carpet, of course, the stars of the film and bleachers for the fans to sit in. I remember the broadcast and Pink had that one theater the first week raise their admission prices and the people came out. Ib Melchior had agreed to write the script if he could direct and Sid Pink gave him 10 days to shoot the film and a budget of $190,000. Between late 1959 and early 1960 there was a popular television series "Men Into Space" supposedly about the Space Program starring actor William Lundigan, a "B" movie actor who would do a lot of television, Joyce Taylor who would appear in George Pal's "Atlantis the Lost Continent" and American International's "Twice Told Stories" and Charles Herbert who appeared in the original "The Fly" and "13 Ghosts" as his family. Two of the episodes "Water Tank Rescue" in 1959 and "Voice of Infinity" in 1960 would be written by Ib Melchior. The next two motion pictures in Ib Melchior's career become a little confusing in the United States. The motion pictures were released in reverse order based upon when they were actually made and released in Denmark. 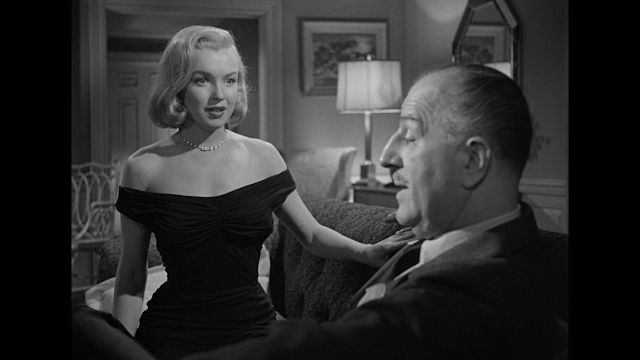 In short the films were actually made together in late 1960. Ib Melchior had wanted to make a movie in his native Denmark and spoke to Sid Pink about it. Pink contacted a motion picture company in that country and a deal to make two motion pictures together was agreed upon. The only American Actor in the film was John Agar besides being known as Shirley Temple’s first husband. Agar had been in three John Wayne classics “The Sands of Iwo Jima”, “Fort Apache” and “She Wore a Yellow Ribbon”. He also appeared in “Tarantula” and “Revenge of the Creature”, but his star was fading and he found himself in “The Mole People”, “The Brain from Planet Arous” and now this mess. For a mess it was. An Alien presence briefly enters each of the space crews minds and when they land of Uranus each experiences memories from their past. Eventually the crew realizes they have been under mind control from a giant one eyed brain that is hiding inside a cave and defeat it. The entire budget for the film was $75,000 and all of it is on the screen, if that means anything. The team of Ib Melchior and Sid Pink's next Danish pastry became a small hit and has obtained "Cult" status. “Reptilicus” was released in its Danish version on February 20, 1961, but it took almost two full years before it was released in the United States on January 20, 1963 and that is the interesting story here. Compared to "Journey to the 7th Planet" "Repitlicus" had a whopping 25,000 dollars more. Over the years stories about a flying scene being deleted for the American version surfaced. That by itself raises a person curiosity, but what you may not know was there was actually three different versions of the film. Adapted from the one script by Ib Melchior and this was actually the first of the two films Pink and Melchior made in Denmark. The basic plot is that Danish miners find a piece of a dinosaur tail. They take it to Copenhagen and it is placed in the laboratory of Professor Martens at an Aquarium. The Professor is keeping the dinosaur tail in a deep freeze room. The room is accidentally left open and the tail starts to thaw out starting a regeneration process. It is determined that any fleshly part of the creature can regenerate over time into a full size animal. After going on a rampage the creature is finally killed by poison, but one of its legs is left at the bottom of the sea leaving the possibility for a return. Some behind the scenes stills. Now lets look at the differences that make up three different actual versions of the motion picture, but only two would be released.. In the Danish version there was an added romance between Svend and Karen which is not in the American release. Also Dirch Passer who played the Janitor Petersen does a comic song and dance routine.. In Denmark this was one of the actor/comedian’s trademarks and was expected in any motion picture he appeared in. The English version drops the romance and the comic song and dance, but added the character of Connie Miller. This version had those Danish actors who could speak English doing their own lines and the other characters were dubbed. Otherwise the rest of this edit was exactly like the Danish version INCLUDING the Flying sequences. To begin with AIP made major cuts to the scenes in the Pink/Melchior English edit and then re-dubbed everyone. They also moved scenes around and added the green stomach acid slime that Reptilicus shoots out of its mouth. They felt that was a better idea than having the creature fly. So all flying sequences was edited out, but they could leave off Reptilicus' wings and that would always raise questions for American audiences as to why they were there. Look at any of the AIP Posters and note the wings are not showing on the drawing used for the creature. Here is a link to Eight and a Half minute interview with Ib Melchior on the making of "Reptilicus". On January 12, 1964 Ib Melchior married Cleo Baldon a very respected and known Architect, Landscape, Swimming Pool and Furniture Designer. They would have one son together Dr. Leif Melchior.They would remain married until her passing on October 12, 2014. She spent her life beautifying Los Angeles and Beverly Hills, were thousands of innovated gardens pools bear witness to her art, as do the numerous awards, honors and patents bestowed upon her. She is credited with inventing the lap pool and Hydra-spa and she had designed and built a solar house which the press called "the house of the decade", because of its technology and innovative design. With her husband she co-authored two large format books, "Steps and Stairways" and "Reflection on the Pool" published by Rizzoli, which gave her an appetite to embark on a new venture: she became an author. To give you some idea of how important even Cleo Baldon Melchior's furniture designs were considered. This link is to a company that sells her vintage furniture and note the prices at the time of my writing this article on her husband. The same year as his marriage Ib Melchior teamed with John C. Higgins to write an updating of Daniel Defoe’s classic story “Robinson Crusoe” for the critically acclaimed film “Robinson Crusoe on Mars”, Released June 17, 1964. This was a pet project of director Bryon Haskin. Among his credits Haskin had directed: Walt Disney’s 1950 “Treasure Island”, George Pal’s 1953 “The War of the Worlds”. Along with these order Pal films: 1954 “The Naked Jungle” and 1955's “Conquest of Space”. “Robinson Crusoe on Mars” was made by Paramount Studios and they recycled a somewhat animated version of the Martian War Machines from 1953’s “The War of the Worlds”. Which alert Sci-Fi fans immediately caught. The movie is excellent. In a small role is pre-television "Batman" Adam West and the motion picture starred Paul Mantee and Victor Lundin..
Below a Space Ship in "Robinson Crusoe on Mars"
Below one of the Martian War Machines in the 1953 George Pal motion picture. Once again writing and directing on Halloween October 31, 1964 I saw an A-typical “B” Science Fiction film from Ib Melchior entitled “The Time Travelers”. The film was fun and even had a cameo appearance by “4E” aka; Forrest J. Ackerman the founder of “Famous Monsters of Filmland” Magazine and a boyhood, high school and college friend of what I call the “Big Three’. They met regularly at “Clifton’s Cafeteria in downtown Los Angeles since the 1930’s. Oh, the other two members of the “Big Three”? That would be "THE RAY'S"--- Bradbury and Harryhausen. Should you watch the film the brief cameo occurs at 44 minutes into the 82 minute film. The basic film plot was that a group of scientists invent a television style screen to see into the future. There’s a power surge and they discover that it has actually become a window into the future they can step through. Just before the power surge one of the scientists remarks that she saw “shadows” pass over everyone. No one else noticed this. The scientists enter their now Time Portal and find themselves in a post-apocalyptic future on the same site their lab was located. The future human Earth people are building a space craft to go to a star that will support life, but before they can finish it mutated humans attack and destroy the craft. The only hope for the trapped scientists is to build another Time Portal and return to their own time period. This is constructed and the original scientists along with some others step through it. Only to discover what appears to be the original group of scientists frozen as statues. They determine that these statues are living and that the group is now slightly off the time line. It is also discovered that the original portal is still turned on and that it leads to a date some 100,000 years in the future when the Earth is able to again support life. As they step through the portal they become the “shadows” seen at the start of the film. The film keeps speeding up as all the events are repeated over and over again indicating that everyone is stuck in a time loop. The cast was some old stalwarts in the movie business. The lead scientist was Preston Foster (He played “Dr. X” in the 1932 movie opposite Fay Wray. That motion picture was the first horror movie completely shot in color), Philip Carey (Who appeared in films with John Wayne, Doris Day, Joan Crawford among others) and John Hoyt (Who started out with Orson Wells’ “Mercury Theater”, was in “When Worlds Collide”, played the evil toymaker in “Attack of the Puppet People” many other movie and television shows). With a script many thought had great potential the problem facing Ib Melchior was James H. Nicholson head of American International Pictures. He was given a budget of only $250,000. Graeme Clark on the website: "The Spinning Image"
In spite of the low budget, this still looks pretty good thanks to intelligent use of the resources available. The portal the scientists create, as Danny discovers, is more than a mere window on the coming years, because they can actually walk through it and pass through the decades to exist in the future. When a test pilot crashes in his experimental X-15 plane, he and his wife discover they are in a reality where time has slowed down almost to a standstill. Returning to the airbase, they are horrified to see their daughter standing in the path of a moving truck and they seem to be unable to prevent her death. The show goes on as the test pilot attempts to save his daughter from certain death. On September 15, 1965 Italian filmmaker Mario Brava's classic motion picture "Terrore nello spazio (Terror to Space) opened in his native Italy. One month later on October 27, 1965 from an English language script the motion picture opened in the United States as "Planet of the Vampires". The motion picture had been a co-production of the Italian company's "Castilla Cooperativia Cinematogrifica, Italian International Film and American company American International Pictures and the reason of Melchior's participation.Co-writing the English language scipt was Louis M. Heyward. Although Ridley Scott and others associated with "Alien" stated the design of that motion picture was H.R. Giger inspired. Any one familiar with this motion picture knew otherwise as Derek Hill wrote on the website "Images Journal" for a review of the "Midnite Movies" DVD wrote"
Although this article is about the writer Ib Melchior. Here are two comparison shots of Mario Bava's 1965 "Planet of the Vampires" and Ridley Scott's 1979 "Alien". First Bava and second Scott. For those of my readers interested in the work of Mario Bava, or Dario Argento. Here is a link this blog's article on these two Italian filmmakers. During 1965 Ib Melchior was dubbed a "Knight Commander of the Militant Order of Saint Bridget of Sweden". On September 14, 1966 another war movie was released written by Ib Melchior entitled "Ambush Bay". The film starred Hugh O'Brien, Mickey Rooney and James Mitchum. This was a routine war film about a secret advance mission to the Philippines prior to American Invasion to take back that country from the Japanese. 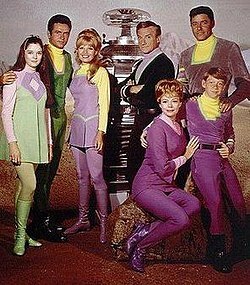 Also during the 1965 and 1966 period Ib Melchior was in a legal battle with producer Irwin Allen over the popular television show "Lost in Space" about the Robinson family. The show had premiered on September 15, 1965 and would run through March 6, 1968. In 1962, Gold Key comics (formerly Dell Comics), a division of Western Publishing Company, began publishing a series of comic books under the title, Space Family Robinson. The story was largely inspired by The Swiss Family Robinson but with a space-age twist. The movie and television rights to the comic book were then purchased by noted television writer Hilda Bohem (The Cisco Kid), who created a treatment under the title, Space Family 3000. In July 1964, science fiction writer and filmmaker Ib Melchior began pitching a treatment for a feature film, also under the title Space Family Robinson. There is debate as to whether or not Allen was aware of the Melchior treatment. It is also unknown whether Allen was aware of the comic book or the Hilda Bohem treatment. As copyright law only protects the actual expression of a work, and not titles, general ideas or concepts, in 1964 Allen moved forward with his own take on Space Family Robinson, with characters and situations notably different from either the Bohem or the Melchior treatments (none of the three treatments contained the characters of Smith or the Robot). Intended as a follow up to his first successful television venture, Voyage to the Bottom of the Sea, Allen quickly sold his concept for a television series to CBS. Concerned about confusion with the Gold Key comic book, CBS requested that Allen come up with a new title. Nevertheless, Hilda Bohem filed a claim against Allen and CBS Television shortly before the series premiered in 1965. A compromise was struck as part of a legal settlement. In addition to an undisclosed sum of money, Western Publishing would be allowed to change the name of its comic book to Lost in Space. There were no other legal challenges to the title until 1995, when New Line Cinema announced their intention to turn Lost in Space into a big budget motion picture. New Line had purchased the screen rights from Prelude Pictures (which had acquired the screen rights from the Irwin Allen Estate in 1993). At that time, Melchior contacted Prelude Pictures and insisted that Lost in Space was directly based upon his 1964 treatment. Melchior was aided in his efforts by Ed Shifres, a fan who had written a book entitled Space Family Robinson: The True Story. (Later reprinted with the title, Lost in Space: The True Story). The book attempts to show how Allen allegedly plagiarized Melchior's concept, with two outlines presented side-by-side. To satisfy Melchior, Prelude Pictures hired the 78-year-old filmmaker as a consultant on their feature film adaptation. This accommodation was made without the knowledge or consent of the Irwin Allen Estate or Space Productions, the original copyright holder of Lost in Space. Melchior's contract with Prelude also guaranteed him 2% of the producer's gross receipts, a provision that was later the subject of a suit between Melchior and Mark Koch of Prelude Pictures. Although an Appellate Court ruled partly in Melchior's favor, on November 17, 2004, the Supreme Court of California denied a petition by Melchior to further review the case. No further claim was made and Space Productions now contends that Allen was the sole creator of the television series Lost in Space. "Keep Off the Grass" a 22 minute short on drug abuse Ib Melchior wrote, directed and edited. It was released in 1969. Actually the only feature length films to come out with his name from 1975 forward were two and in actuality he had nothing to really do with them. Back in the early 1950's Ib Melchior wrote a short story called "The Racer". The story was picked up by Roger Corman's New Line Cinema and the basic idea was turned into the "Cult Classic" "Death Race 2000" released April 27, 1975. Melchior had no input on the screenplay by Robert Thom and Charles Griffith. However, it is Ib Melchior's name and not Thom, or Griffith that people associate with the story. When the film was remade in 2008 the writing credits again mentioned Ib Melchior as the story originator and also Thom and Griffith as the screenplay writers for the 1975 original. The new screenplay would have the name of Paul W.S. Anderson added who also directed the 2008 motion picture and co-produced. In 1976 "The Academy of Science Fiction, Fantasy and Horror Films" awarded Ib Melchior the "Golden Scroll Award" now known as the "Saturn Award", but is still referred to as the "Golden Scroll". If he wasn't working on motion picture treatments, or screenplays it was time to take up the pen once more as a novelist. During those last days in the bunker, Hitler and Bormann created a plan that would perpetuate the cause of Nazism long after they were dead. A small band of highly trained agents were to be planted all over the world, someday to come together and bring final glory to the Fatherland. Did the Nazis almost build themselves a nuclear weapon at the end of the war? History says no, but this fictional treatment says yes, and locates the nearly-critical pile underground in the Black Forest village of Haigerloch. Another rebirth-of-Hitler novel bound to give double-vision to readers of The Boys from Brazil. And it's not just Hitler himself, or Child Adolf, that prompts dâ€šjâ€¦-vu in the plotting, but the presence of a mad Nazi doctor as well--not Mengele this time, but a weirdo named Franz Schindler who has been waiting 33 years to spring the new Fuhrer on the world. Hitler's desperate plot to save his longtime mistress . . . Counter Intelligence Corp agent Woody Ward uncovers evidence that it might not have been Eva Braun on Hitler's funeral pyre. Indeed, at that very moment, Eva is being escorted along the top-secret route mapped for the escape of the Nazi el Hitler's desperate plot to save his longtime mistress . . . Counter Intelligence Corp agent Woody Ward uncovers evidence that it might not have been Eva Braun on Hitler's funeral pyre. Indeed, at that very moment, Eva is being escorted along the top-secret route mapped for the escape of the Nazi elite. 1994 was "Quest Searching for Germany's Nazi Past" co-written with Frank Brandenburg. This is non-fiction and the story of Brandenburg's search as a young modern German into his country's Nazi past and incorporates both the experiences during the Second World War and knowledge of Ib Melchior. In 2000 Melchior wrote "Order of Battle: Hitler's Werewolves" was a non-fiction work telling the story of the destruction of Hitler's "Werewolves" the troops hidden in plain sight as villagers, etc. In 2014 Ib Melchior's last work came out titled: "Code Name: Grand Guigol". The story tells of a group of British actors who are taken over by a downed group of agents who need their help to stop some Nazi guns. Again as with all of his work Ib Melchior's own World War 2 experiences come into play to make this a very exciting work. The novel was released just three before the author lost his wife on October 12, 2014..
Ib Melchior passed away Six Month and Two Days later on March 14, 2015, but his was a great life full of adventure and wonderment.